“What? Yes, fine,” I say, taking a sip of my pint. She doesn’t say anything and drinks half of her rum and Coke and shakes the ice around in the glass. “It’s all right, Tintagel,” she says to nobody in particular. “I work in the village, at one of the gift shops. My friend works here.” She points at the barmaid, the one with the kind face. “Shame, I’d like to see that,” I say smiling, holding her gaze. She laughs and smiles back, then coyly looks away. “Not having something from that, then?” She reaches over and pats my jacket pocket, feeling for my hip flask. I am annoyed that she has seen me and just as I’m thinking what to say, she gently touches my arm. “You’re not exactly subtle about it, mate.” She looks at her watch and then realizes she is not wearing one, so instead checks the time on her phone. “Go on then. Last one,” she says, chuckling to herself, strug­gling to get off her stool in her tight skirt. I watch her walk to the bathroom—a journey she chastely announces—and I can see the outline of her underwear beneath her skirt, the imprint of the bar stool on her thighs. She smells of perfume when she comes back, and she has fixed her makeup and tied back her hair. We order some shots, and we are talking and drinking and swigging together from my hip flask, and then she is showing me videos of dogs on YouTube, because her family breeds Rhodesian Ridgebacks, and then clips of people fighting, people getting knocked out on the street on CCTV, because one of her mates from Cam­borne was a kickboxer but he was in prison now, assault. Then I look up and it is all a blur, a skipping CD, the lights are on, and I can hear the harsh whine of a vacuum cleaner. I wonder if I have fallen asleep, passed out, but Charlie is still there next to me and I see we are now drinking vodka and Red Bull. I look at her and she smiles with wet, drunken eyes and she starts laughing again, pointing to her friend, the bar­maid, who is scowling and pushing the vacuum cleaner around the carpet. And then we leave, via a brief little farce where she said she thought she should go home, and then we are walking arm in arm along the deserted High Street, giggling and shushing and falling up the stairs to the little flat she has above the gift shop where she works. When we get to the top of the stairs, she looks at me, her mouth shaped like a heart and I feel a rush of boozy lust, so I pull her close to me and we start kissing, my hand reaching under her skirt. After we finish, we lie on her small single mattress on the floor, without making eye contact, our heads buried into each other’s necks. When we have held each other for what seems like an acceptable amount of time, I walk along the hall look­ing for the bathroom. I fumble for a light switch, but it is not the bathroom, it is a child’s bedroom. While Charlie’s room was sparse, unfurnished, the bedroom looks like a showroom in a department store. A light shaped like an airplane, mir­rored by a giant stencil on the wall. Neatly stacked boxes full of toys. A desk with colored pencils and stacks of paper. And then, pinned to a board, certificates and awards, for football and judo and being a superstar in school. Next to the bed there is a night-light, and I cannot stop my­self from turning it on. I watch as it casts pale-blue moons and stars onto the ceiling. I walk toward the window, breathing in the faint smell of fabric conditioner and children’s shampoo. In the corner, I see a little yellow flashlight, just like one Jack once had, and take it in my hands, feeling the tough plastic, the durable rubber, the big buttons made for young, unskill­ful fingers. “Hello,” Charlie says, and it startles me and I jump. Her tone is nearly but not quite a question. She looks down at my hands, and I realize I am still hold­ing the flashlight. “It’s lovely,” I say, because it really was, and she smiles and we stand like that for a while, watching the planets and stars dance around the room. I know Charlie wants to ask me something: if I have kids, if I like kids, but I don’t want to answer so I kiss her, and I can still taste the vodka and cigarettes. I don’t think she is comfort­able kissing me here, in her son’s room, so she pulls away, takes the flashlight out of my hand and puts it carefully back on the shelf. She turns out the night-light and leads me out the door. Back on the single mattress, she pecks me sweetly on the neck, as you would kiss a child good-night, and then turns away from me and falls asleep without saying a word. Her naked flank is exposed and the room is cold, so I reach over and tuck the cover under her and it reminds me of Jack. Snug as a bug, snug as a bug in a rug. I drink the remainder of my hip flask and lie awake in the pale amber light, listening to her breathe. 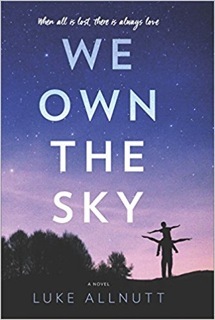 We Own the Sky has been compared to novels by Jacquelyn Mitchard, Jodi Picoult, and John Green. To what authors do you turn when you want an intensely emotional story? Sounds like a deeply emotional read. I stock up lots of tissues for my emotional reads. I find Nicholas Sparks has some deeply emotional reads. Also Lisa Genova, author of I'm Still Alice. Congratulations Luke on your debut. I love finding new Authors. 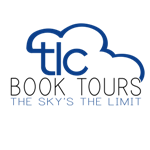 Look forward to reading We Own The Sky. This novel sounds unforgettable. I read many captivating and emotional novels - Camille Di Maio's novels are beautiful and definitely emotional, Judith Kinghorn writes memorable and wonderful novels as well. Emotional stories are meaningful and authentic. I read books by Alyson Richman, maria Duenas, Laura Madeleine and Pam Jenoff. Jodi Picoult is good, but I like Danielle Steele to really get emotional!! JoJo Moyes novels are emotional reads. Thanks for the post. Always nice to learn about new authors. For my emotional reads I read Nicholas Sparks and Danielle Steele. I know to have a box of tissues ready. Congratulations on your debut novel. I have been avoiding emotional stories for a while. Jacquelyn Mitchard's CHRISTMAS, PRESENT, TWELVE TIMES BLESSED, and THE DEEP END OF THE OCEAN sort of did me in. It is nice to find new a author to read when that special mood strikes and I need a story that will tug at my heart strings and make me cry. I, too, often go to JoJo Moyes for a good emotional read. I have Still Me queued up to listen to next, and I both can't wait and am holding off since when it's done, I'll have to wait for her to write more! Courtney Cole and Bethany-Kris are two. Thanks for the chance.